Yarra Plenty Regional Library (YPRL) offers programs and services that support the acquisition of knowledge and skills through study, experience or lessons through its nine branches and mobile services. These programs and our online offerings are becoming of increasing importance to the local community. Learning can include borrowing a DIY manual, attending a genealogy course or writing up a resume. 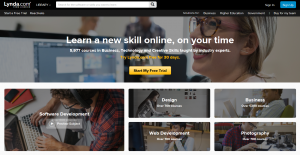 However, there are also many great opportunities for and benefits to online learning. Online resources are available 24/7 and therefore learning can take place anywhere at any time……. all you need is your library card. Do you want to learn another language or improve your English? 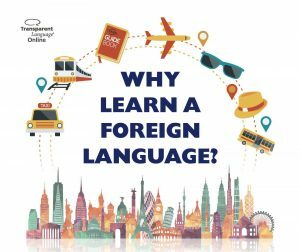 Transparent Languages Online utilises dozens of fun and engaging learning activities to help people learn up to 99 different languages. Learn on the Go with Transparent Language Mobile. The latest list of languages are available here. Learn English Online with AMES is an Australian based English language course for people to grow their skills and confidence to listen, read, speak and write in English. The courses cover various levels from beginners to intermediate. Beamafilm is Australia’s premium movie streaming channel for true stories and independent voices. This unique collection of over 500 award-winning documentaries, independent features and festival favourites has been carefully curated to delight, inform, inspire and entertain you. 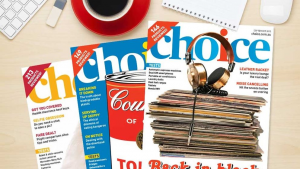 CHOICE Magazine helps community members by delivering expert, unbiased information on products and services (e.g. latest and greatest TV, phone, washing machine, solar panels and more). Back issues of CHOICE magazine are available. Want to know something about your heritage? Ancestry is the world's largest online family history resource. Search more than 11 billion records from around the world. Ancestry Library Edition can only be accessed on branch library computers or via your mobile device with Library WiFi. Find My Past allows you to discover billions of historical records from around the world, covering Australia, New Zealand, England, Scotland, Wales, Ireland and the United States. Records for your research in Victoria include electoral rolls (name or address search), birth, death and marriage indexes, Petty Session registers, Victoria Police Gazette, Passenger lists and more. Access is via any of Yarra Plenty Regional Library’s public computers or through our free Wi-Fi only. 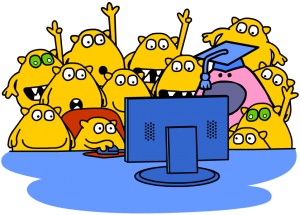 Busy Things is an online learning resource that hosts a range of quirky, colourful, fun educational games for 3 to 6 year olds. These games help children develop and improve their literacy skills.